Conrad & Retha Cooke both grew up in South Africa. They met during a poker-evening while studying at the University of Pretoria and soon afterwards became world citizens when Retha moved to Dubai and Conrad to South Korea. In 2010 they moved to Zambia's Luangwa Valley where they lived for 5 years. It is here where they learned the ins-and-outs of the safari industry and that trying to grow a lawn next to a river full of hippos is not a good idea. They also perfected the art of the 30-minute safari for those rare occasions when the camp is quiet enough to jump in a game-viewer and go for a quick drive. They moved to Odzala-Kokua National Park in the Republic of the Congo in 2015 and successfully managed a camp specialising in Western Lowland Gorilla treks. Being woken up in the middle of the night by a silver-back chest-beating close to their house is an experience they'll never forget. Conrad is a keen photographer and says the only negative aspect to living in the bush is not being able to watch soccer.  Retha loves sharing her bush-memories on instagram (@rethacooke) and claims that the limited selection of toothpaste-brands is the biggest disadvantage to bush-living. Wilson grew up close to Mount Kilimanjaro where he developed his interest in tourism. As a young man, he worked in a tourist lodge and was part of 10% of students selected to go on an exchange program to Norway. These experiences led to his decision to complete a course in Hospitality and Tourism in Kenya. Following this, Wilson pursued his professional dream and has now worked in hospitality for 12 years: in Tsavo West National Park, the Great Rift Valley in Kenya, the slopes of Mount Kilimanjaro and the plains of the Serengeti. He has also dedicated his time to volunteering in Tanzania, involving himself in blood donation drives and First Aid training for Kilimanjaro guides. 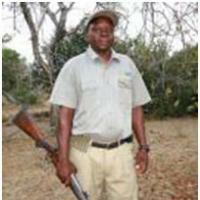 He is delighted to continue his career at Selous Safari Company and looks forward to welcoming you. Allen was born in the town of Marangu, at the foot of Mount Kilimanjaro and he is very proud of his Chagga tribal heritage. After leaving school, his ambition was to work in tourism so Allen studied at the Kilimanjaro Institute of Hotel Management & Tourism and received a diploma in Tourism Management. After graduating in 2000, Allen delved straight into a career with Selous Safari Company and in 2004/5 he was offered the opportunity to join a company run guide training course which he jumped at, and this led him to a full time guiding role at Siwandu. Since then he has gained a rifle handling licence and a Tanzanian rarity of a 1st class driving licence for VIPs. Over the years Allen has become an integral part of the Selous Safari guiding team, with experience at our camps in Siwandu and Jongomero. He is now Head Guide at Siwandu. 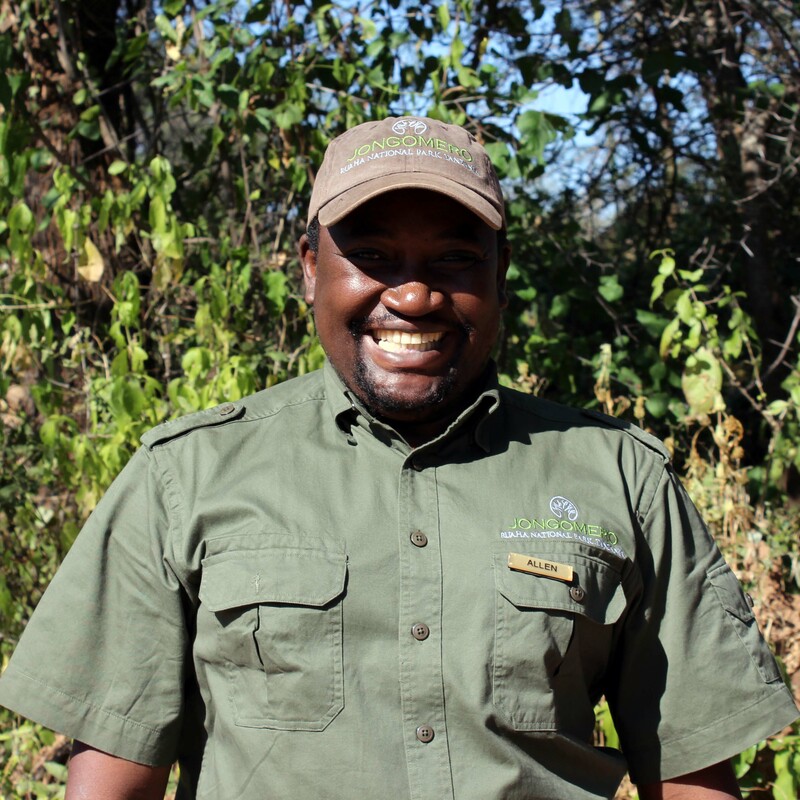 Mpoto has worked for Selous Safari Company for nearly 25 years and due to his vast experience and knowledge is the only member of the team at Siwandu to guide all game activities – by foot, by vehicle and by boat. Mpoto comes from a local tribe called Pogoro and after finishing school he went straight onto the great Rufiji River system as a Boatman. He joined Selous Safari Company in 1990 and the majority of his time he is guiding guests on the Rufiji’s myriad of waterways. Hailing from Mloka, Siwandu’s local village, Mohamed travelled to Dar es Salaam in 1980 and studied as a carpenter for two years. After completing his course he remained in Dar to work for four years before returning back to his village to share what he had learnt with his fellow brothers as well as work on the family farm. 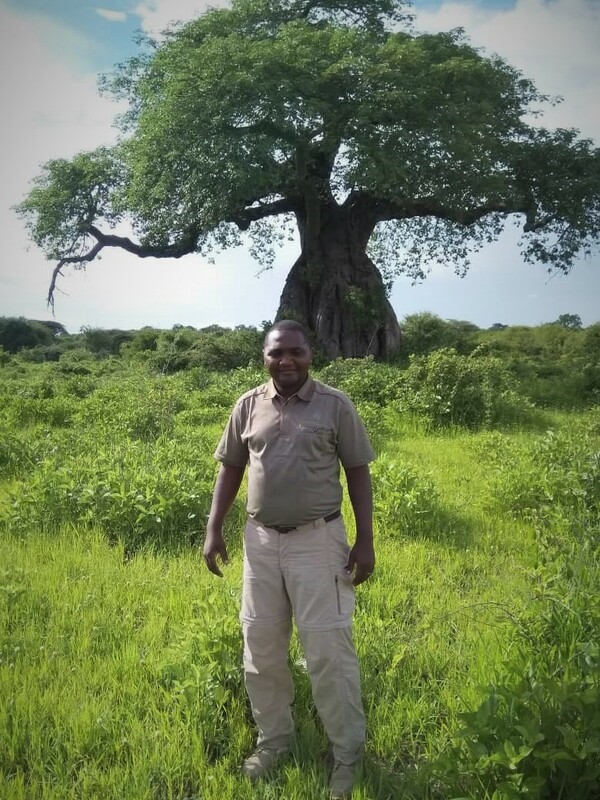 Selous Safari Company has always supported the local village and through this association Mohamed had the opportunity to join the camp team in 1994 as a Room Attendant. 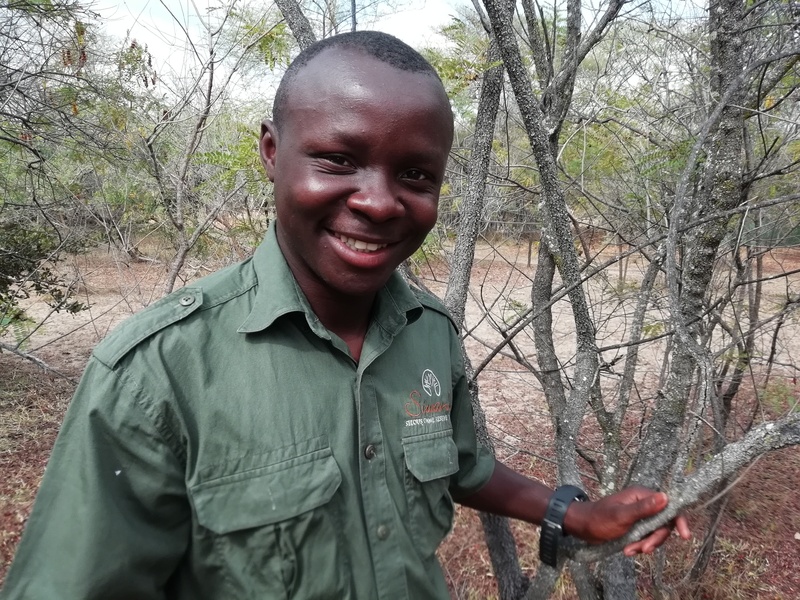 Falling in love with tourism and wildlife he was determined to learn as much as he could so he began by studying the local flora and fauna so he could share his knowledge with the guests he was looking after. 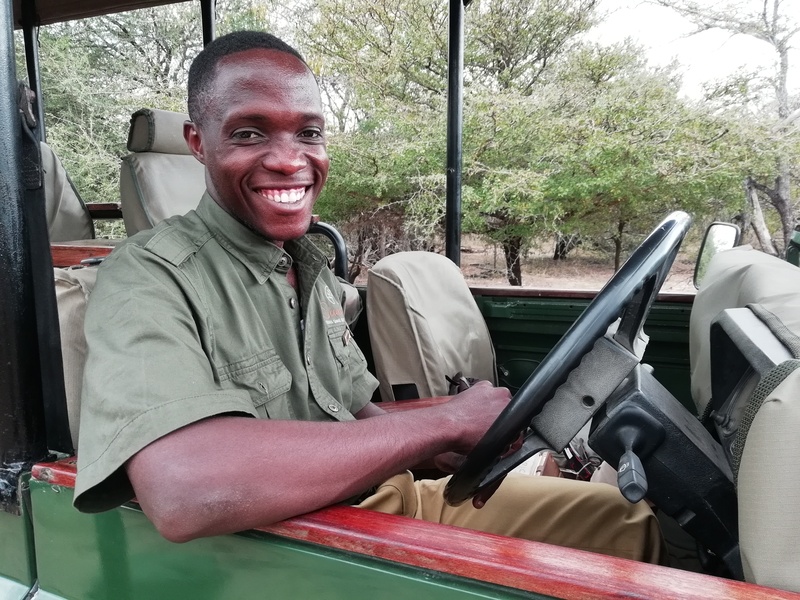 Seeing his amazing drive and potential Selous Safari Company sponsored him to attend a training course with Mikumi Vocational Education Training Authority and he attained a certificate in Tour Guiding. With his newly acquired knowledge he returned to camp to have in house training with our Walking Guide at the time, Andrew “Moli” Molinaro until he was ready to take guests out by himself in 2007. Alfred was born in 1991 in Morogoro. In 2012 he moved to Dar es Salaam to study tour guiding. 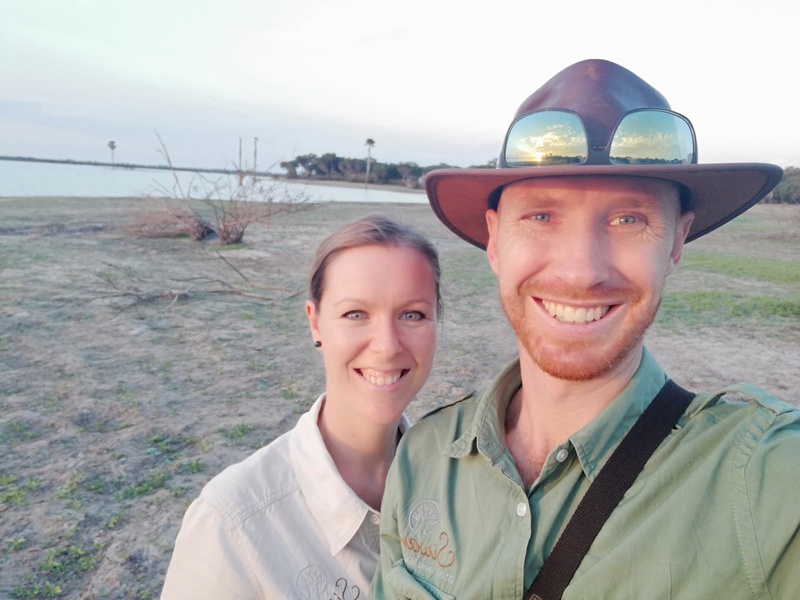 Since he was very young he’s had a passion for wildlife and he knew tour-guiding would provide him with many possibilities of spending time in the bush. As a child he used to draw pictures of wild animals all the time but it was not until 2013, when he attained his tour-guiding certificate, that he first met these animals face-to-face. He’s quickly grown into a young, energetic & skillful guide with a very bright future ahead of him. Born in Dar es Salaam in 1989, Christian inherited his love for wildlife from his uncles, who were safari guides. Their stories of the bush inspired him to go to Arusha after completing school, studying various wildlife courses and learning French, which he now speaks fluently. In 2010 he moved back to Dar es Salaam in order to get an official qualification. That certificate allowed him to start work as a safari-guide and he has not looked back. Since then he has guided in Saadani National Park & Ruaha National Park (at our camp Jongomero) before moving to the Selous Game Reserve. Edmund Mahunga is Siwandu's Senior Chef, after joining the team here in 2007. He brought with him a wealth of culinary skills, expertise and a friendly smile, which he continues to demonstrate every day here in the kitchens. Edmund's passion for food and cooking is clear in every dish he cleverly produces, and creates. Becoming a chef has been Edmunds ambition for many years, and when he qualified in 1992 and his dream was fulfilled. Edmund's creativity and skills come all the way from his home town of Iringa. He is proud to actively practice his Christian faith, and is a popular member amongst his colleagues, always ready to conjure up a new "cuisine creation", and to run a dynamic kitchen team. Edmund was promoted in 2014 to Head Chef at Siwandu. Kandindi is from the Ndengereko tribe, which was originally based in Selous before the area was established as a Game Reserve in 1922, and so the tribe was relocated to Mloka Village. His grandfather was a great fisherman and farmer along the Rufiji River and Kandindi learnt his trade and understanding for the great river from him as he was growing up. After primary school in 1990, Kandindi was chosen with two other students to join Umakuru Secondary School but an education in Tanzania is expensive and due to lack of funds Kandindi could not attend. So he joined his family on the family canoe fishing the waters of the Rufiji for an income. In 1993, Kandindi joined Selous Safari Company as a Security Guard and was further promoted to Room Steward in 1994 but his ambition and great knowledge of the water systems in Selous led him to being trained in-house as a Boat Guide by Mpoto. In 1996, he was afforded a fulltime Boat Guide position in camp.